Show off your style and team spirit by inviting your friends along for a ride in the generous, sporty interior of the FIAT 500L Sport. They’re sure to be impressed with the unique accents, gorgeous aluminum wheels and heated front seats. 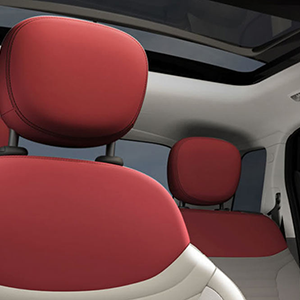 The FIAT 500L Sport is designed for people who love to drive. Sport-styled design cues, such as fog lamps and deep tint rear glass, accent an iconic profile set on 17-inch painted aluminum wheels. Seating 5 adults in roomy comfort, it’s fun and practical with a touch of attitude. Dial up the style to your liking with an available dual-glass panoramic sunroof and your choice of body colour, black or white roof. The sport-inspired interior of the FIAT 500L Sport offers style and space for up to 5, plus a few special touches just for drivers – like the leather-wrapped steering wheel and shift knob and tilt & telescoping steering column. Heated front seats, dual-zone Automatic Temperature Control and SiriusXM Satellite radio9 with one-year subscription help provide a fun environment for driver and passengers alike. 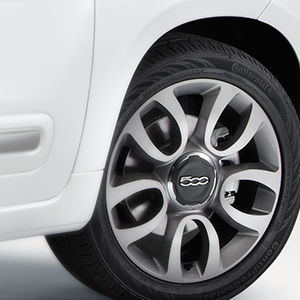 The FIAT 500L Sport comes with distinctive 17-inch painted aluminum wheels as standard equipment. Create a FIAT 500L Sport that reflects your personal style with your choice of customization options, including nine exterior colours, three roof colours and many customization options to choose from. Standard driver and front-passenger active head restraints can help prevent or reduce the extent of injuries in certain types of rear-end impacts. This is achieved when the head restraints move forward and upward to decrease the space between the headrest and the occupant's head. TAKE THE 2014 FIAT 500L SPORT FOR A SPIN!